If you are a carer for someone who has an illness or disability, there may be benefits, grants or other financial support available to you. 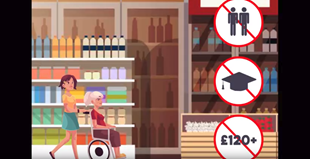 Carer's Allowance - if you care for someone for at least 35 hours a week and the person you care for is getting a benefit because of their disability. Carer's Credit - if you are under State Pension age and you are caring for someone for at least 20 hours a week. Income Support - if you, and your partner if you have one, are on a low income or not in full-time employment and fall into a category of people who do not have to look for work. You must usually be 18 or over but under Pension Credit age (some 16 and 17 year olds can get Income Support). Income Support is being replaced by Universal Credit. See our Income Support guide for information on who can still claim. For more information on Universal Credit see our Universal Credit guide. Pension Credit - If you or your partner have reached the qualifying age for Pension Credit.